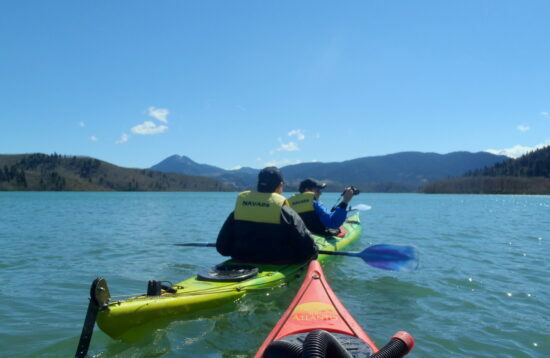 The long intervals of good weather, the long days of the summer, the crystal clear water, the endless and polymorphous coastline, islands or mainland, are five very essential reasons which make this country ideal for the overgrowing activity of sea-kayaking. 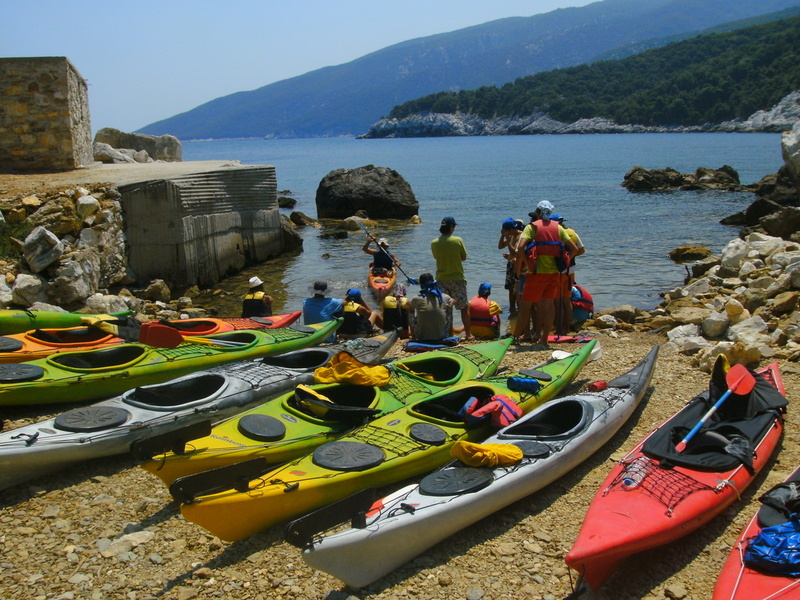 Apart from the physical exercise, sea kayaking offers a unique way of approaching and exploring coastlines of exceptional beauty. 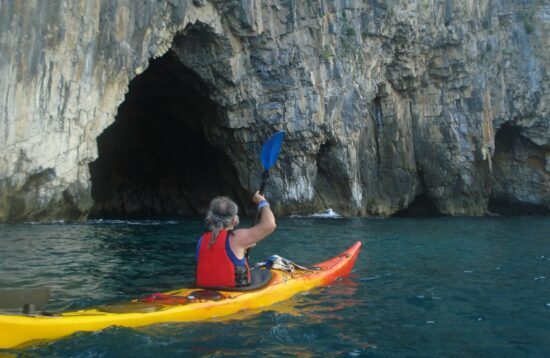 The versatility of movement which the kayak offers, as well as the completely different perspective of visual approach to the coastal morphology, together, introduce you to an entirely unknown (to the beginners), but yet a splendid world! The game along the line where the water and land meet is so pleasantly endless!! They can be equipped with pedaled rudders for keeping an easier straight direction while paddling. 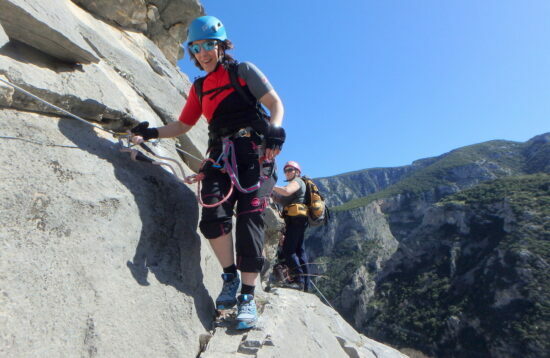 This is very useful and relaxing especially for beginners and when in long routes. 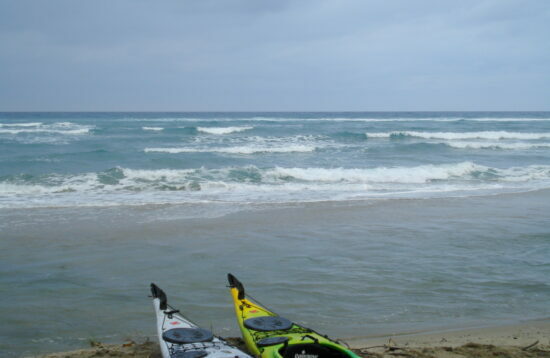 They can be one or two - seater kayaks, the first for the more experienced and the second ideal for the complete beginners. 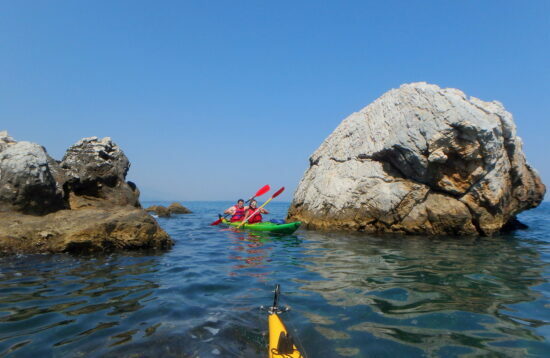 Technically speaking, these vessels are a very important and well designed piece of equipment, which gives you a unique autonomy, versatility and ease, while exploring and approaching isolated and extremely nice places, like the one where the Veneton caves are, one of our best one day sea-Kayaking routes. 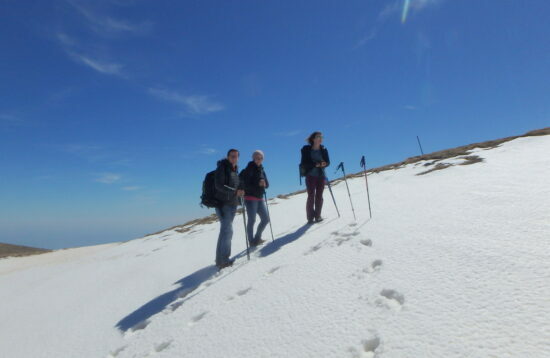 Best Seasons:All year round with the favourable wind conditions.